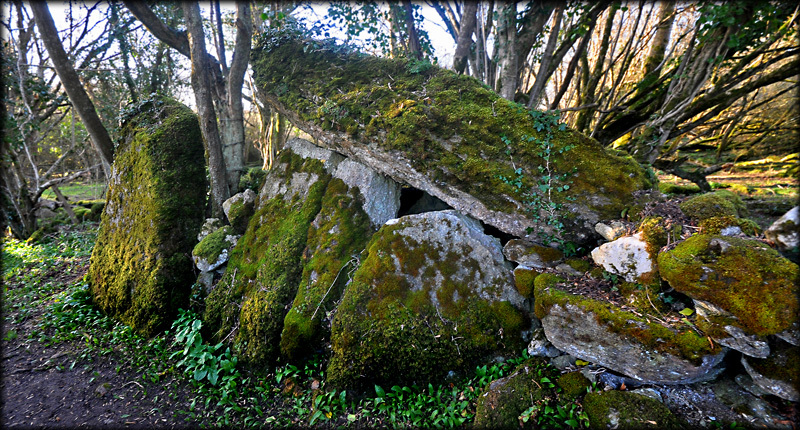 I was thrilled to finally visit this huge megalithic monument. 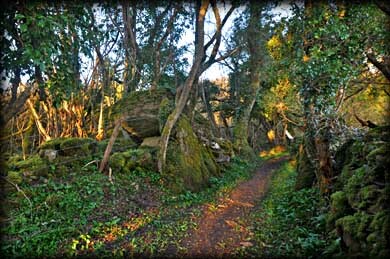 It is delightfully situated on the north side of a track that winds it's way through mixed woodland. The capstone has slipped backwards in a north easterly direction. The south side of the portal tomb, pictured above, consists of a tall portal stone and two large side stones, but the northern portal stone is missing. 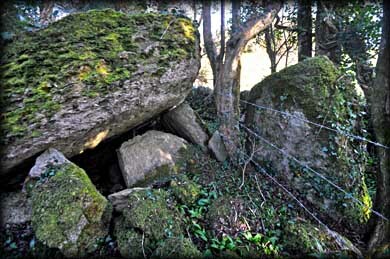 The doorstone can be seen in the image below leaning into the chamber. 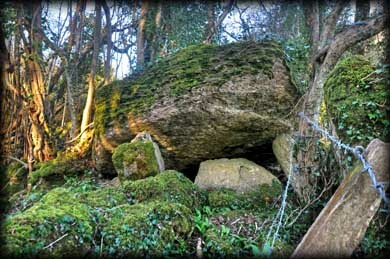 A headstone lying 3 metres east of the megalith is believed to be the missing portal stone. Forty metres west of the tomb is a stream. A very atmospheric location. Situated: From Athlone head west on the R446. At the rounabout take 1st exit. Stay on R446. At next roundabout take 1st exit. Stay on R446. 350 metres turn right. 2.5 k turn right. Go straight for 1.4k. Monument is signposted. Discovery Map 47: M 9868 4019. Last visit Mar 2014.